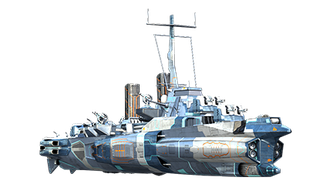 In Update 0.7.3, the World of Warships fleet will leave the Earth for a while, and the battles will take place in outer space! For that to happen, a new temporary battle type—Space Battle—will be added, and now we will tell you all about its rules and details. Before you enter battle, you need to go to outer space in your personal Spaceport. To find this new temporary port, click the anchor icon in the top left corner of the screen. Docks for spaceships, a vacuum, zero gravity, huge asteroids, flying saucers and, of course, distant stars that wait to be conquered by brave commanders. Are you ready for space and all the dangers it hides? 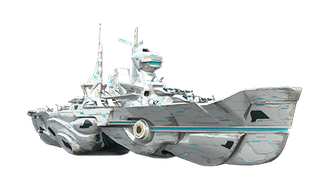 To conquer space, you will need special ships: legendary Tier X ships have been made space-worthy and tweaked for the pleasant economy of Tier VII ships. There are nine spaceships for you to choose from. Flyfire:Do you prefer a vehicle that is hard to spot unless you want it to be spotted? Then the FlyFire model would be a perfect choice for you. Among its noticeable advantages are the elegant design, excellent rocket armament, and awesome concealment gear. The American destroyer Gearing served as a prototype for this beautiful ship. Galaxy: will suit those who like finding what is carefully hidden and surprise the enemy with its quantum-cumulative shells. And her black hole neutrino armament will come in handy in all other combat situations. This ship is based on the American cruiser Des Moines. Hellcarrier:Is controlling swarms of drones your forte? Then we recommend Hellcarrier. Conquer the most distant corners of space! The Japanese aircraft carrier Hakuryu served as a prototype for this ship. Paris:You want armor and speed combined? Try Paris! Soft shapes and shamelessly quick-firing guns! And don't forget about the unique ion thrusters designed specifically for this type of ship. With their help, you'll reach any star in the blink of an eye. Its original model is République, a French battleship. 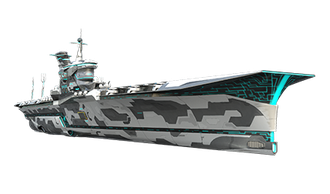 Zaya:Floating like a star butterfly, beautiful like the blast of a thousand suns, menacing like a Talurian vacuum serpent—that's what you need to know about the elegant Zaya-class spaceship. This beauty is based on the Japanese cruiser Zao. Norma:A concealment gear with crystals from the planet Khetta, special turbo-laser shells with a unique reloading system, and good ion rockets that obliterate all matter in their way. 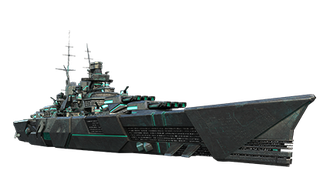 The Norma frigate is based on the British cruiser Minotaur. Aurora:"Phantoms shall not pass" is the main motto of the engineers who designed the powerful and majestic cruiser Aurora. Remember these well-spoken words when you command this invincible titan. It originates from the no less majestic Soviet cruiser Moskva. Alldestroyer:One of the jewels of spaceship building is Alldestroyer. It is excellent all around—armour, number of guns, and small laser turrets. The only disadvantage is that she's the perfect prey for drones. But a skilful commander knows how to deal with this. The designers used the model of the German battleship Großer Kurfürst for creating this spaceship. Blue Aster:Blue Aster is a good choice if you need to disintegrate another disintegrator so that it doesn't disintegrate your disintegrator. The sensors are sensitive to any oscillations in space and a salvo of eight excellent Chrysalis-type rockets will help you dispatch foes. Its prototype is the German destroyer Z-52. Your space fleet will be helmed by 9 unique Commanders. They were all born to participate in Space Battles, and this is their destiny. Each Commander will come with 19 skill points and may be assigned to any special ships without retraining. Skills can be reset using Doubloons or the Elite Experience of the Commanders. Please remember that all experience earned by a Commander with 19 skill points is instantly transferred to elite experience that can be used for retraining, changing specialisation, or resetting the skills of any other Commanders! Spaceships and their commanders are credited to players' accounts after completing a simple mission. 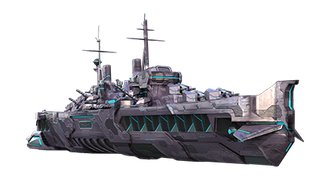 - If you win a battle on a Tier VI-X cruiser, four ships will arrive in your account—Galaxy, Aurora, Norma, and Zaya. 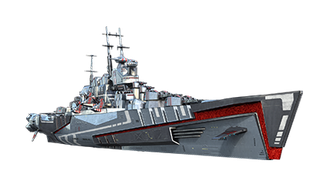 - For victory on a Tier VI-X destroyer, you'll receive Blue Aster and FlyFire. 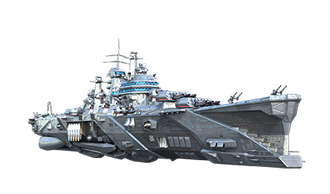 - The mighty Alldestroyer, beautiful Paris, and elegant Hellcarrier will become available if you win on a Tier VI-X battleship or aircraft carrier correspondingly. The new mode will be available for all players with at least Account Level 12 in their Service Record. Please note that you need to switch to Space Battles in the "Select a battle type" tab, and you can participate in them only on a special ship. Please note that Space Battles are not available in the Training Room, and special spaceships can't join Training Battles. Teams of nine players each helming special ships only. If there are not enough players, bots will be added after 5 minutes of waiting in the battle queue on the condition that there are more than 10 players in the queue. To make space combat even more spectacular, we'll add weather events, a new mechanic you've already encountered in Operation Hermes. The only difference is that we've replaced the thunderstorm front with two new weather phenomena, each producing a different effect in battle. You can see the zone of each weather event on the mini-map; it will be displayed as a grey circle. Also, a special indicator will notify you when you are approaching or within the Psy Field or Meteor Shower. Meteor Shower and Psy Field can't occur in one battle simultaneously. The current detectability range of ships is reduced by 10% with the maximum detectability range of ships affected by a Meteor Shower not exceeding 15 km (by sea) and 9 km (by air). The spotting range will also be limited to 15 km. AA guns’ firing range will be notably decreased, too. Mid- and short-range AA guns will be disabled while the long-range ones will get half of their standard firing range. The vision range of squadrons is limited to 6 km. Flight speed is reduced by 25%. Every 15 seconds, one aircraft is destroyed. Maximum spotting range in a Psy Field depends on the type of ship: Aircraft carriers: 15 km; battleships: 15 km; cruisers: 14.5 km; and destroyers: 9.5 km. Fires will last for 1 second. The time of flooding won't change. The "Repair Party" consumables will be disabled. The Psy Field will have no effect on aircraft. Unfortunately, Space Battles won't be around forever. 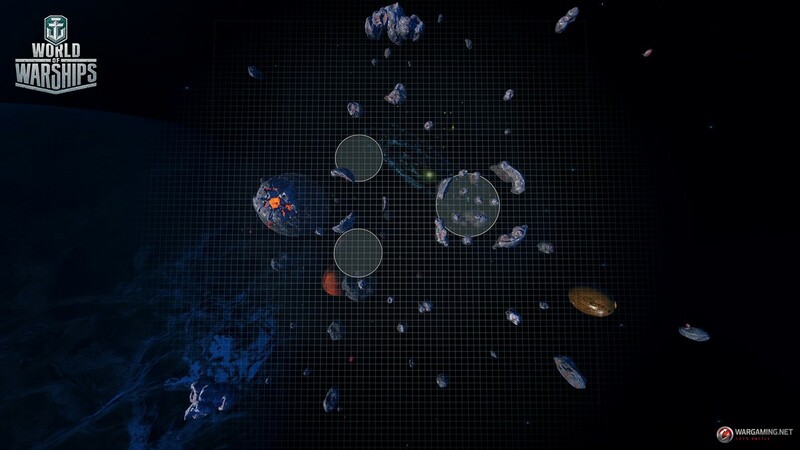 When they come to an end, all special ships will be removed from accounts, signals and flags will be placed in the Inventory and the unique Commanders will be dismissed and head back to their planets. Their efforts, however, will not be wasted. All Elite XP they earn will remain on players' accounts. 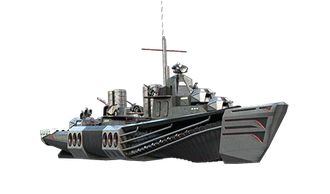 After the ships are removed, all of their experience will be transferred to tier I soviet cruiser Orlan.